To date, the film has been presented in two very different venues, which were selected to enhance the experience of the spectator. 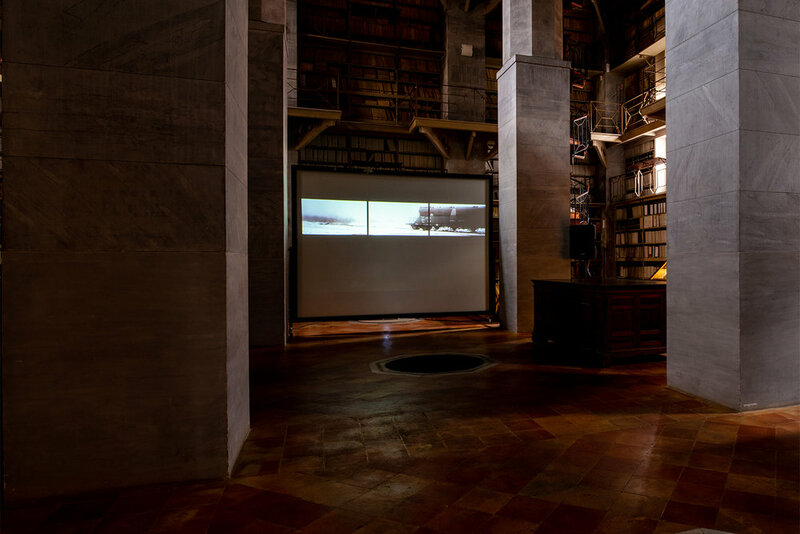 The first venue, in November 2017, displayed a ultra-wide screen in a gothic church in Prague, installed to resemble a triptych on the altar, thus exploring the meaning of industrialism as a religion. Later, in 2018, the installation was presented at the Sala Almeyda of the Historical Communal Archive in Palermo (one of the oldest purpose built archives in Europe). This context induced an experience of connection between memories.